Brand identity development, messaging, and marketing collateral for high-end wine management platform. Vinfolio is transforming the fine wine industry. As a buying, selling, storing, and wine management platform, this undeniably unique service connects customers directly with the best producers in the industry. Founded in 2003 by avid collector Stephen J. Bachmann, Vinfolio’s mission is to simplify the process of managing a private collection, while providing personalized customer service. 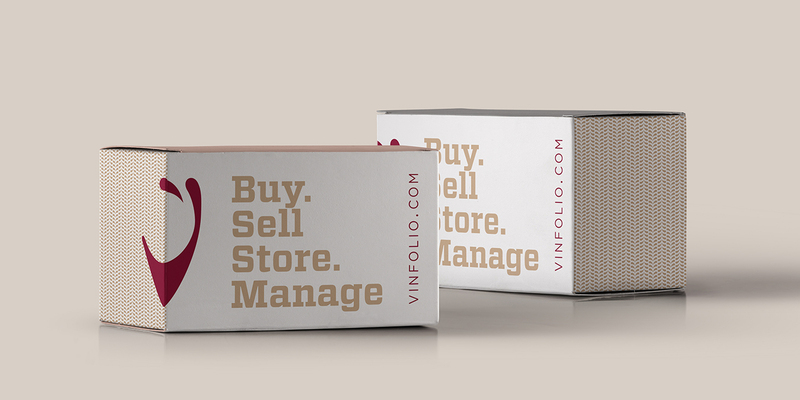 Seeking to rebrand, Vinfolio hired our team of creative strategists for our proven success in luxury branding. We began by developing robust audience personas to guide branding and messaging. We then streamlined positioning through delivering mission and vision statements, which capitalized on Vinfoilo’s dedication to customer satisfaction and their desire to revolutionize the fine wine industry. 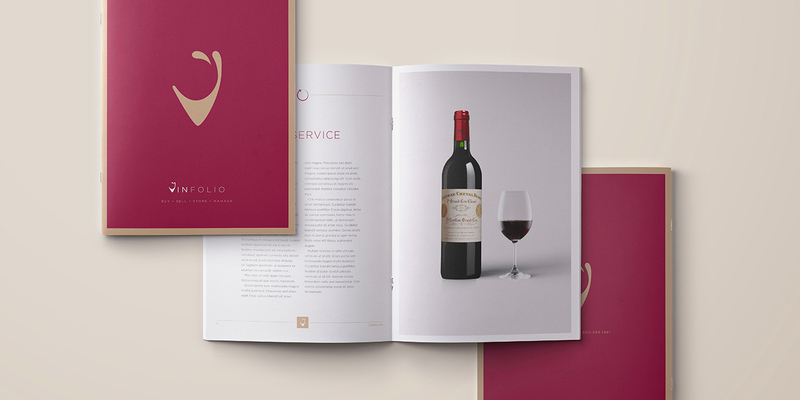 To further elevate their reputation as a disruptive force in the fine wine industry, our team created a comprehensive corporate brand identity, which included the curation of a sophisticated color palette, as well as a modern logo which spoke to their affluent target market. We designed branded stationary, as well as business cards in both English and Mandarin, to accommodate their international customers in Beijing and Shanghai. Finally, we crafted a corporate brand standards guide with typography, professional photography, and custom iconography. To heighten brand awareness and generate leads, our creative department designed an in-depth marketing brochure and digital collateral. "Today, the Vinfolio brand emulates timeless sophistication and cements their place as a leader in the fine wine industry." The “new Vinfolio” emulates timeless sophistication and cements their place as a leader in the fine wine industry.